regard to concentration, particle size, kind of foreign substance, and higher-viscous particles in the melt. The melt flows through finely woven sieves. Due to the deposit of the foreign substances the pressure increases. It is measured by means of a pressure transducer in front of the insert and recorded continuously during measurement. The addi tional analysis of the deposit gives more information about kind and amount of polymer impurities. The Filtratest can be connected to a 19 mm or 30 mm measuring extruder. 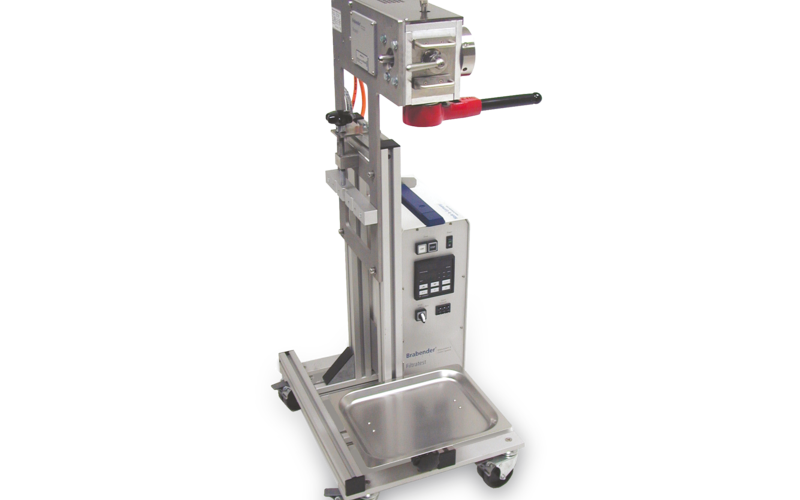 The extruder guarantees the processing and the transport of the polymer melt. The melt is guided through the extruder to the Filtratest, where it flows vertically through the filter. The pressure increase in front of the insert is measured by means of the pressure transducer. The pressure difference between the initial pressure and the maximum pressure is used for calculating the filter pressure value (FPV).